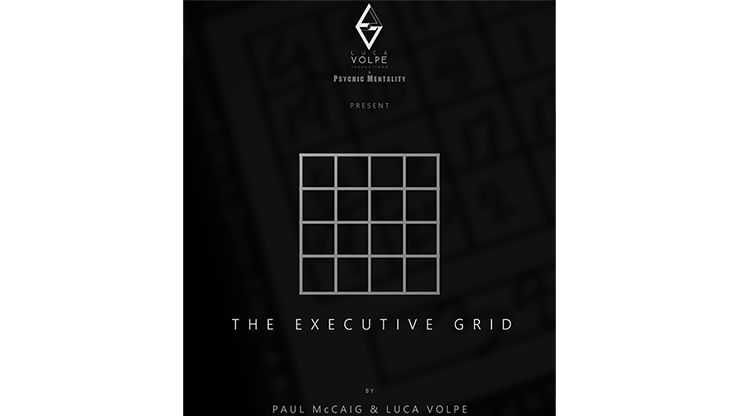 Today, when you order "The Executive Grid by Paul McCaig and Luca Volpe Productions", you'll instantly be emailed a Penguin Magic gift certificate. You can spend it on anything you like at Penguin, just like cash. Just complete your order as normal, and within seconds you'll get an email with your gift certificate. 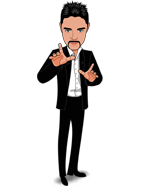 Just Love it, it's very portable, practical for strolling magic at corporate events or from table to table at a restaurant if you do Restaurant magic. 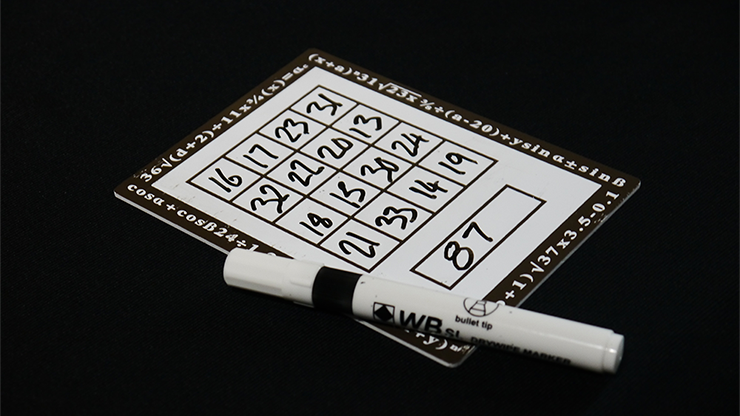 I have used many different magic square solutions over the years, cribs on a marker, just memorizing the 12 of 16 numbers on a 4x4 magic square and adding in the 4 special #s and even working it out from scratch for any number (a great method in the Semi Automatic card tricks book #7). Of all the different methods and solutions, this is my favorite and I think one of the most easiest, practical method, the solution is in plain sight so need to memorize anything!!! Just Love it! Thank you Paul McCaig for sharing this with the magic community. I have always had an interest in the use of magic squares in my programs and I have been thru a great many of them in the process of finding the right one to use. I am seeking one that combines ease of preparation and not too much memory work under pressure. The Executive Grid adds to the ease of preparation aspect of the use of magic squares with its memory guide on the border. this built in crib is quite clever and easy to use, but, to me, what I like most about it is the suggestion on how to add an " extra number" in the equation to keep the square you prepare from looking strange and giving away the secret on larger target numbers where you have to include 3 or 4 numbers which are totally obvious as being plugged in to get to the target number and are much larger numbers than the ones used in the rest of the cells.The out of sync large numbers is a clear give away as to the method to a sophisticated audience. Executive Grid gives you a nice way to deal with that issue and to clean up the square so all of the numbers are compatible with no jarring exceptions. To me, that technique alone is worth the price of the effect. Bravo. Take this out at a walk around booking and you'll look great. The method is right there for you. Even if you're horrible at math, within a matter of seconds, you'll master this. And it can be repeated with a different pattern. Pairs nicely with Volpe's Fox. Nice prop. Rigid, tough seems like it will last a long time. A great idea for the magic square indeed.